Re: WHAT IS YOUR FAVORITE PERFUME? It's a great way to know better our friends! I'm happy that you bring it to here!! Is fresh... and fix in the skin! The other one is "L'Homme" - Yves Saint Laurent! slumpuppy wrote: i think ur inaro uses cool water also.. he smells familiar..
Actually, he's not using any perfume.. allergic kasi iyon... I never seen him use any perfume when we're together. i saw him using cool water..
waaaa. he's not using any perfume when he's with me.. but he still smells good.. hehehe..
confirmed: he's using cool water but he seldom use it.. 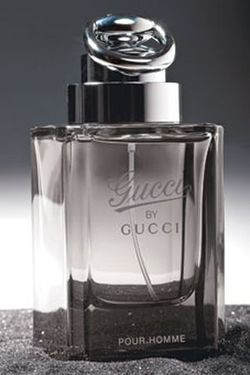 I WILL TRY TO BUY NEW PERRFUME THIS CHRISTMAS, ILL TRY WHAT YOU MENTION HERE! Phael wrote: The other one is "L'Homme" - Yves Saint Laurent! Victoria's secret Vanilla lace for me..
chanel pour homme and gucci are my tow favorites from my own collections and i use them depending on the occasion, like when i go to bar or parties i use gucci, at work i use chanel, when i go to date in a mall ... i would opt for hugo boss. So, its not just food... we share love on same scents-- Polo Black and Armani! Are you using the same perfume dear?